Whatsapp is at it again. But now, it's for the iOS users. 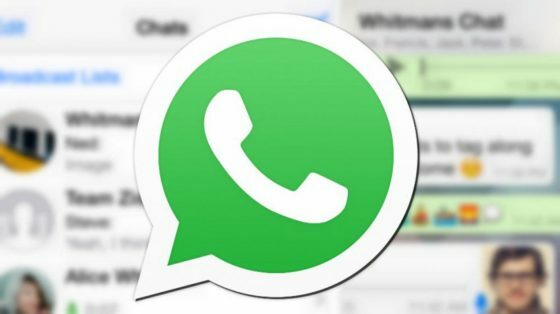 Whatsapp latest version for iOS devices packs a lot of new features which i know you will love as an iOS user. According to Whatsapp, the latest update brings camera filters, albums, reply shortcuts and more other features. I will quickly explain some of the features released by Whatsapp for the iOS users. I know it will interest you as an iOS user. It will make it easier to arrange a group of pictures sent or received on WhatsApp, as long as they are set into a group of four or more. This will create a tile display within your message, and tapping on the album will open it full screen. Similar to Instagram filters, you can apply a set of filters to pictures, GIFs and videos. These filters will be embedded directly into the camera, enabling users to click pictures with layers on them from inside the app, rather than taking pictures and editing them after the fact. There are just five filters for now, but we can expect future updates to bring more filters. This involves gesture controls, to improve the chatting experience. This somehow looks similar to the one we see on Whatsapp for Android. Users can now swipe right on a certain text to quickly reply it. This is especially important in group chats. As you can remember, WhatsApp added a feature to help users reply messages in group chats faster by adding the “@” symbol. The Quick Replies feature is yet another step in that direction. Whatsapp has been really doing their possible best to make sure their chatting app is more standard amongst others. I just can't number the features they've released lately for the Android users, both in the Whatsapp regular version and also the Whatsapp Beta version. But now, the above features are exclusively for the iOS users. No official statement of when similar features will be available for the Android users. But i guess, it should be soon or later.